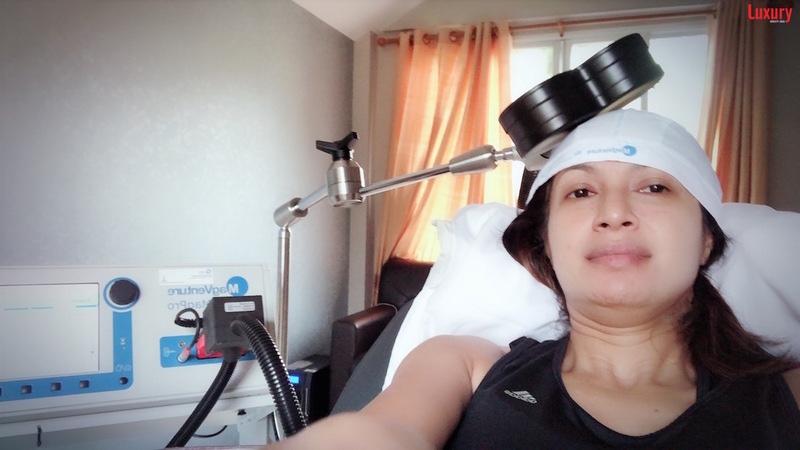 Transcranial Magnetic Stimulation (TMS) is a method of stimulating the nerve cells in the brain via a device that a physician hovers over the patient’s scalp. It produces a magnetic field which induces changes in nerve cell activity and helps relieve depression. During the treatment the patient is awake and alert. Side effects are negligible – the most common being headaches in one of four patients and neck pain in one of eight. This modern technology was approved by the United States Food and Drug Administration in October 2008, specifically for the treatment of depression. In western Europe, TMS has been used in recent years to treat everything from Alzheimer’s, autism and epilepsy to schizophrenia, post-traumatic stress and bipolar disorder. The Dawn is an intimate retreat which is internationally recognized for delivering life-changing treatments for addiction, PTSD, stress, and other mental health issues. An executive burnout program aims at businesspeople, CEOs and other professionals suffering from the strains of overwork and pressure. Depression affects more than 300 million people worldwide, and is a leading cause of suicide. Nearly 800,000 people die from suicide every year. Globally, suicide is the second leading cause of death in 15-29-year-olds. In a report last year published by Harvard Medical School, a half of all workers surveyed said they worked at weekends and on days off to meet the demands of their jobs. Few employers understand the ramifications that this pressure has – not only on their business, but on their bottom lines. According to research by the UK’s Loughborough University, workplace stress costs US businesses alone no less than $300 billion per year in absenteeism, turnover, diminished productivity, and medical, legal and insurance costs. The Dawn has now integrated TMS as an option into the daily regime for patients suffering from depression. 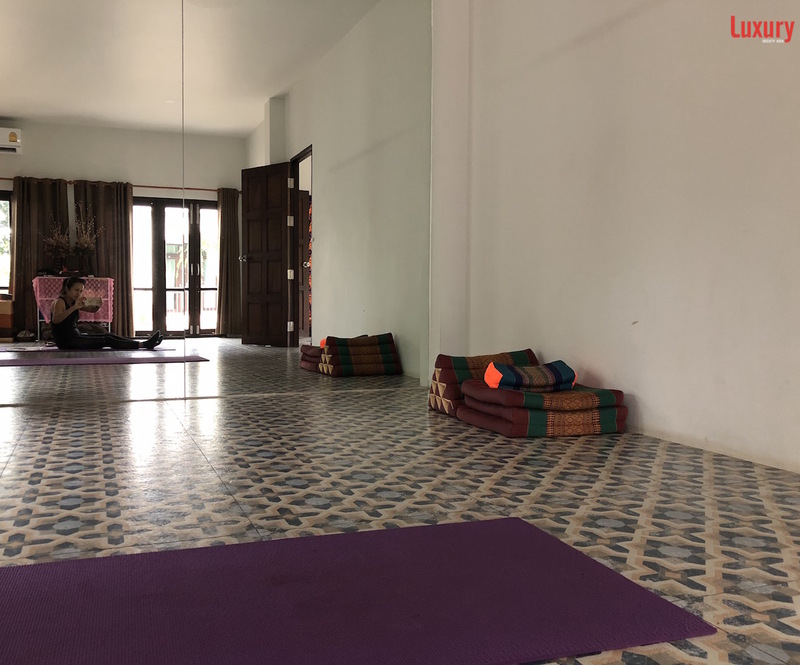 The facility’s “twin pillar” approach offers a itinerary of holistic pursuits such as yoga, meditation, massage and intense fitness, while ensuring each guest has 24-hour access to psychiatrists, counsellors and medical care. To learn more about “TMS”? The Dawn located on the banks of the River Ping in Hang Dong, Chiang Mai, Northern Thailand. The centre features good facility for people seeking treatment for addictions, trauma and stress. 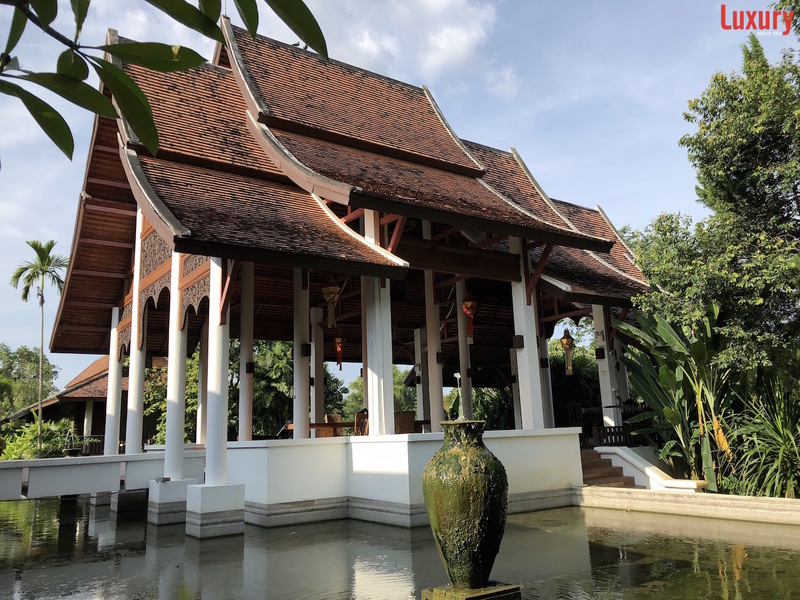 A tropical resort with a backdrop of rainforest and mountains, rice paddies and orchards, the stunning site trades on a sense of serenity and seclusion. 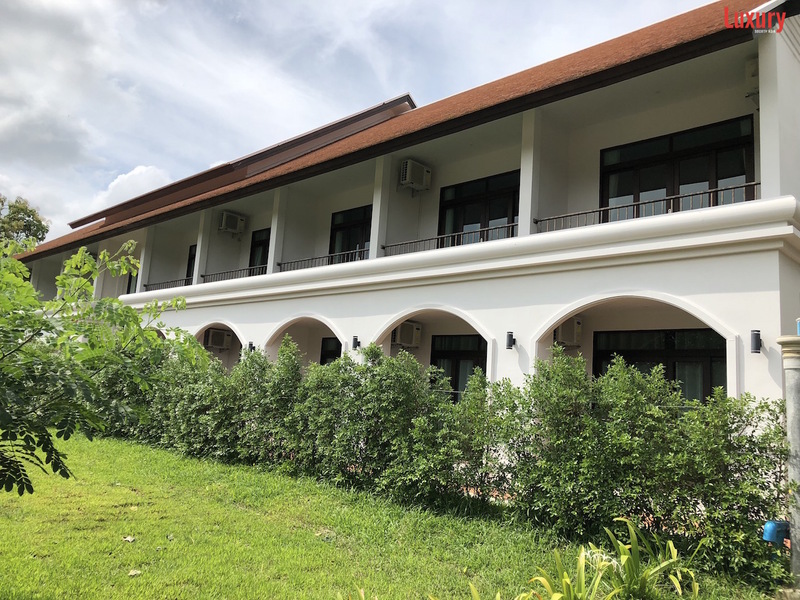 As an all-inclusive addiction treatment centre and wellness retreat, all guests are accommodated in one of thirty Lanna-style accommodations. Rooms are clean and smart with private balconies, but do lack home comforts and mod-cons – a reminder to guests that they are here to follow an itinerary of personal challenges, outdoor pursuits and group activities. While rooms may be minimalist, the estate is rich in flora and gardens, criss-crossed by footpaths and fountains. The centerpoint of the property is a tall wood-beamed sala built in the design of a Thai Buddhist temple. Open-aired and nestled among lush tropical plants, it serves as the main meeting point as well as the dining hall where all clients and staff eat three meals a day together at long tables. “It took us a while to find the perfect place,” said The Dawn’s director Ohm Poolsawaddi. 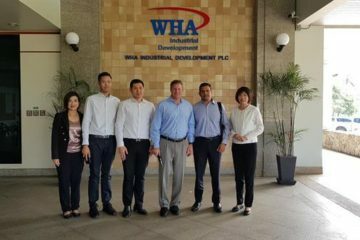 “We had seen over 50 properties and knew an ideal rehab center should be located far enough from town for clients to be free from distractions, yet still offer quick access to the airport and major hospitals. ”Ohm and his brother bought the riverside property in December 2015. 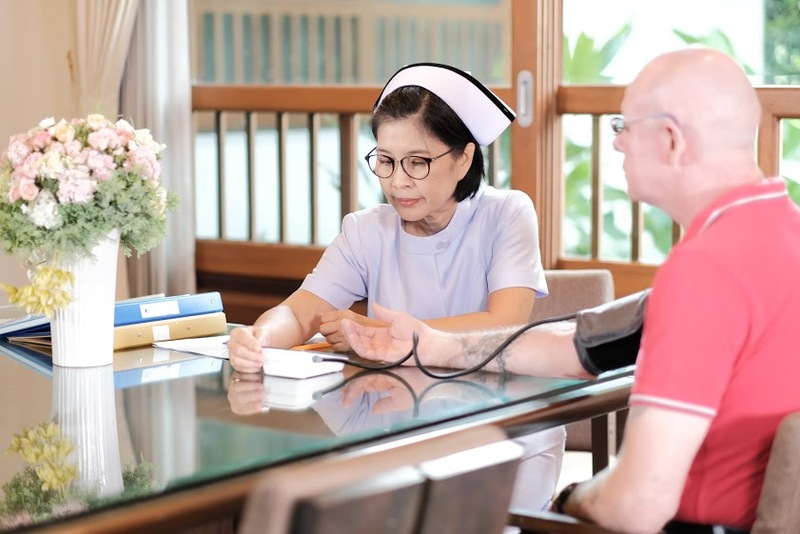 While construction of a modern facility went ahead, the duo set up a small private rehab facility at another Chiang Mai location until the new site opened in November 2017. After a full medical examination at check-in, many clients begin their journey to detoxify or go “cold turkey,” which will involve a course of treatment requiring constant medical supervision and medication during their stay. Trauma group activities room – clients have a minimum of three individual psychotherapy sessions per week with a Trauma-trained therapist. These sessions include trauma-focused CBT to address cognitive distortions and maladaptive impaired thinking associated with the traumatic events, and allow effective cognitive restructuring. Group counseling – The Dawn has a staff of more than a dozen internationally qualified therapists, medical staff, counselors and trainers, and can host up to 20 clients at any one time. The Dawn pursues what it calls a “Twin Pillars” approach, a proven combination of modern psychological services and holistic wellness therapies such as yoga, meditation and even Thai boxing. The Dawn facilities include gym and meditation temple to a swimming pool, massage and yoga classes. Those recovering from addictions are encouraged to stay at The Dawn no less than a month. Clients are guaranteed privacy and confidentiality. 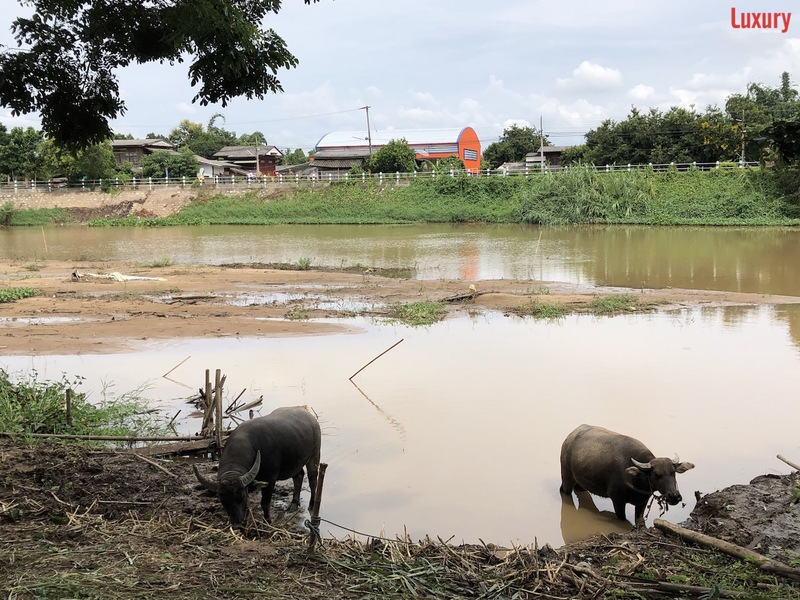 Counselors and therapists – several of whom have navigated their own journeys to sobriety – help shepherd clients down the road to recovery with nature walks, elephant bathing, and tours of the Thai countryside. Trauma Resiliency Model Skills Building “TRM” is a body-based, or somatic therapy,which aims to reset the disrupted nervous system of those suffering from trauma. Clients are taught to observe and track their nervous system responses when they feel stressed, anxious or depressed. They learn mindfulness-based skills bring themselves back into balance when they are distressed. Eye Movement Desensitization and Reprocessing “EMDR” is designed to improve the distress and heal from symptoms linked with traumatic memories through physiologically based therapy that helps our clients view the event in a less traumatic way. It comprises bi-lateral eye movements, which aid in moving painful memories from the minds forefront into the long-term memory. Only eight sessions already dramatically reduces symptoms of PTSD. Trauma Releasing Exercises “TRE” yoga helps release tension or stress that is associated with PTSD by using exercises to release muscles that are triggered during the Fight or Flight response, and tend to stay contracted until the initial trauma has been resolved. The Dawn’s riverside accommodation and facilities are immaculately maintained and designed to provide a peaceful sanctuary that promotes physical, mental, and spiritual healing.